If you have any screen shots to share, I'd love to see it. Post the image in the comments or send it to me @rustybrick. The help document does mention it, it says under the search appearance filters "AMP stories - a visual storytelling format built on AMP that enables a user to tap through full screen images and videos." The cached version from April 2nd does not mention AMP Stories specifically. Also in that cached page is no mention of "Q&A rich results" but in the new updated page it has it listed as a filter "Q&A rich results - A Q&A page rich result." More on Q&A schema is over there. 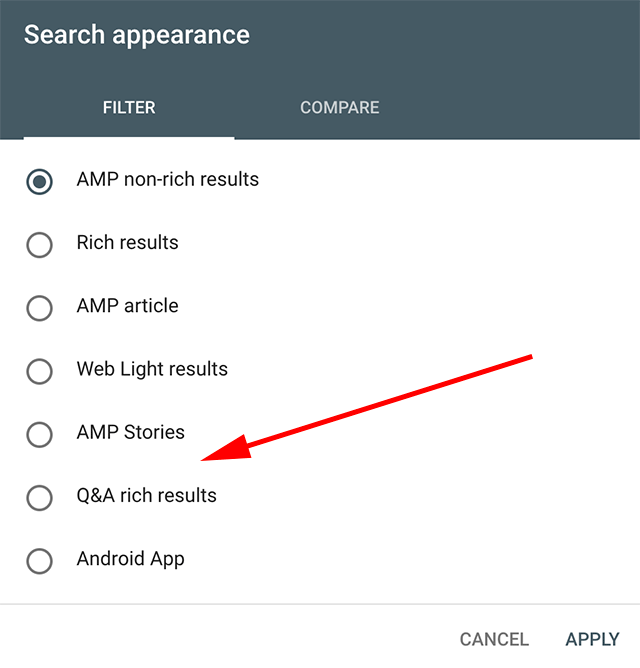 So you got not just Android apps but also AMP Stories and Q&A rich results as new filters this week in the Google Search Console performance report and a brand new Discover performance report - yay!